I love Dubai. A lot of people rip on it but I love it. 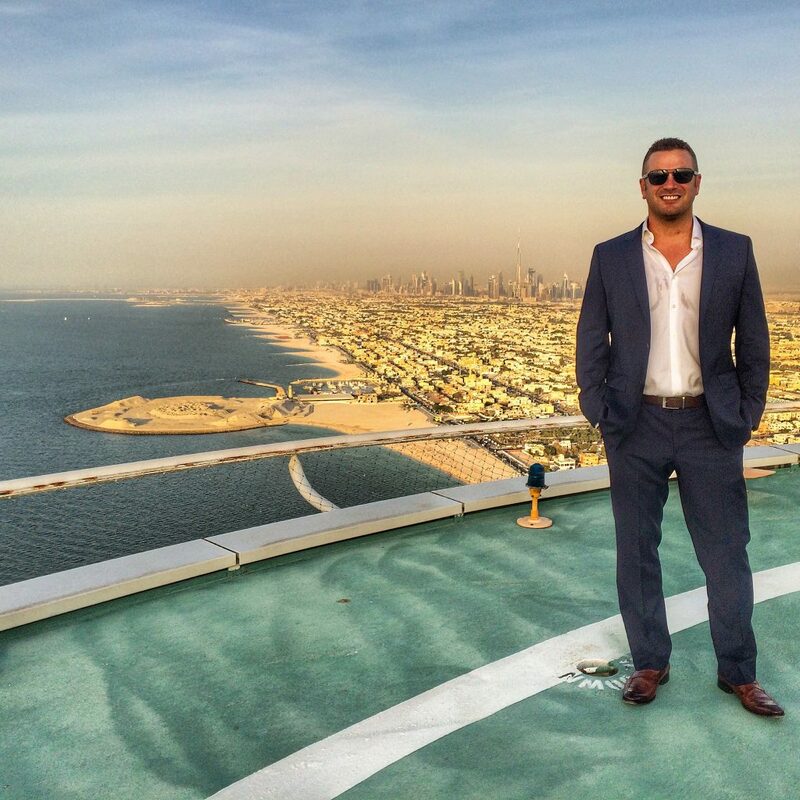 I accept Dubai for what it is and I embrace what it has to offer. It’s over the top for sure: it’s like Las Vegas without casinos. It’s not without controversy from questionable labor practices. It’s mind-blowing, frenetic and at the same time, very calming. Dubai has it all. Here are 5 awesome things to do in Dubai. 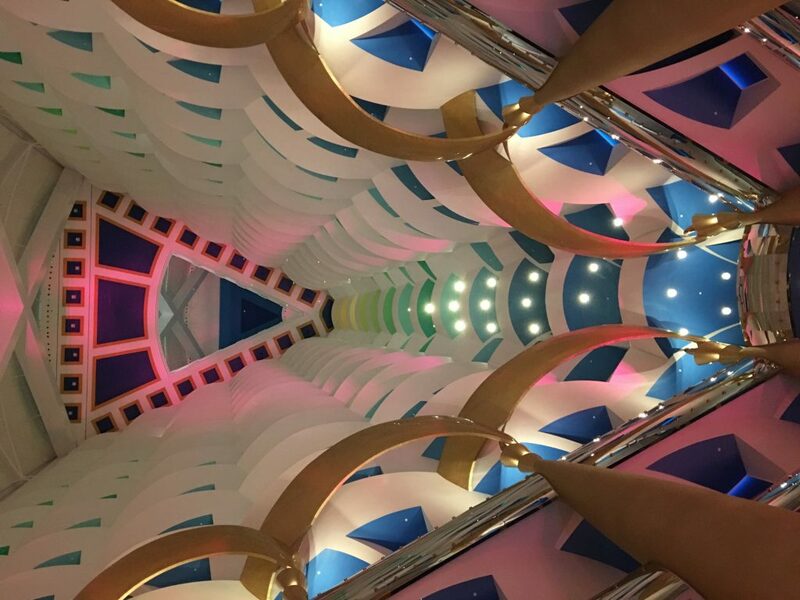 The Burj Al Arab, also known as the Burj, is probably the most famous hotel in the world. Realistically, I think only The Plaza Hotel in New York can even compete in that category. It’s famous for a reason. It’s absolutely mesmerizing in every way. You literally cannot stop staring and taking photos of everything. 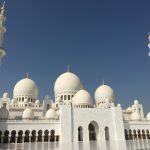 I’ve been to Dubai many times and this trip I am here on a cruise with Azamara Club Cruises. They set up an amazing dinner in the Burj on the 27th floor. It was to die for to say the least for their top guests. I was lucky to be brought along! 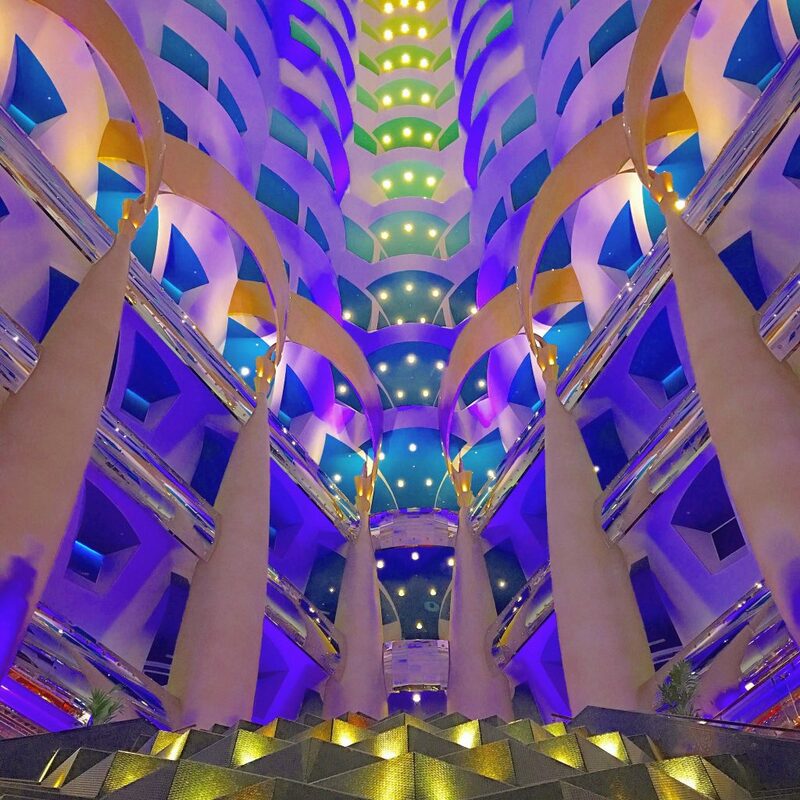 Walking into the Burj is the best part as you’re awestruck by opulence and bright colors. There are fountains and aquariums that deserve stares as well. But most of all you can’t stop staring up and in circles. The Burj will do that to you. As you move further in, it’s all gold. Everything seems to be coated in gold…and it is! 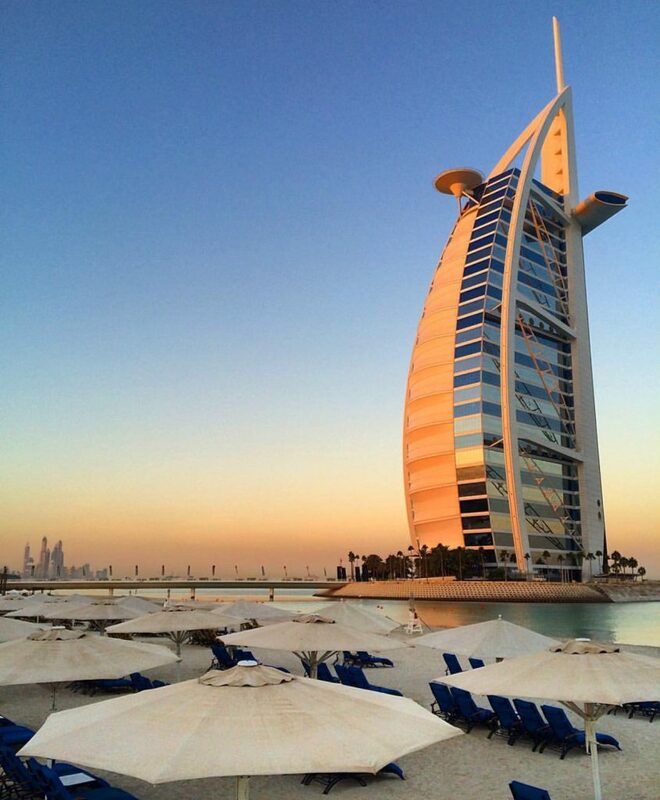 I am fortunate to have stayed a few nights in the Burj when I was in Dubai for the Jumeirah Inside launch event last winter. I didn’t stay or get to go on the helicopter pad this time but I definitely got the royal treatment during dinner. 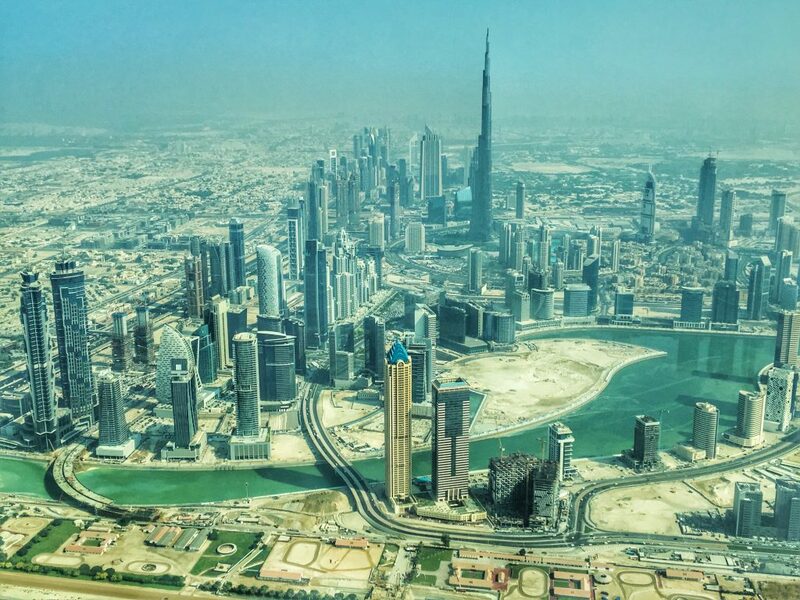 Lastly, to visit the Burj if you’re not staying there you need to make reservations at a restaurant to get in to view it. Otherwise you may pay a fee of around $50 to go inside and look around. 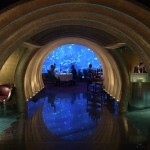 The restaurants are fantastic if you’re wallet can take the hit! Burj Khalifah is the tallest building on Earth. It is over 3000 feet tall and it will literally blow your mind. I’ve been up to the top 3-4 times now and each time I am more impressed with the engineering marvel that it is. Not to mention the views are stellar, especially on a clear day. You can make reservations ahead of time for a specific time. Otherwise you can just head over to the Dubai Mall and get a ticket. You may have a to wait and/or come back later if it’s crowded. If you want to go all the way to the top, they charge you over $100 for the pleasure but you do get a VIP experience. If you’re only going to do it once, I definitely recommend going all the way up to the worlds highest observation deck! If you know me you know I hate malls. I actually hate shopping, crowds, stores and too many choices! However, in Dubai I go to malls. I go to 2 malls specifically: Dubai Mall and the Mall of the Emirates. Dubai mall is at the base of the Burj Khalifa and it is the biggest mall in the United Arab Emirates. In fact it’s the biggest and surely the best mall I’ve ever been to. I’ve been to both the Mall of America and the West Edmonton Mall and hated them both passionately. Dubai Mall is different; it has a lot on offer. There are the fountains, a waterfall, an ice skating rink and of course-the worlds tallest building. They have the top of the top stores and everything in between in the cavernous 3-story monstrosity. The Mall of the Emirates is the second largest mall and if you’ve never been to Dubai Mall, it’s the best mall you’ve ever seen. It’s got all the same stores and just a smidge behind on fanciness plus a delicious Din Tai Fung dumpling restaurant-yes the same from Taipei, Taiwan! 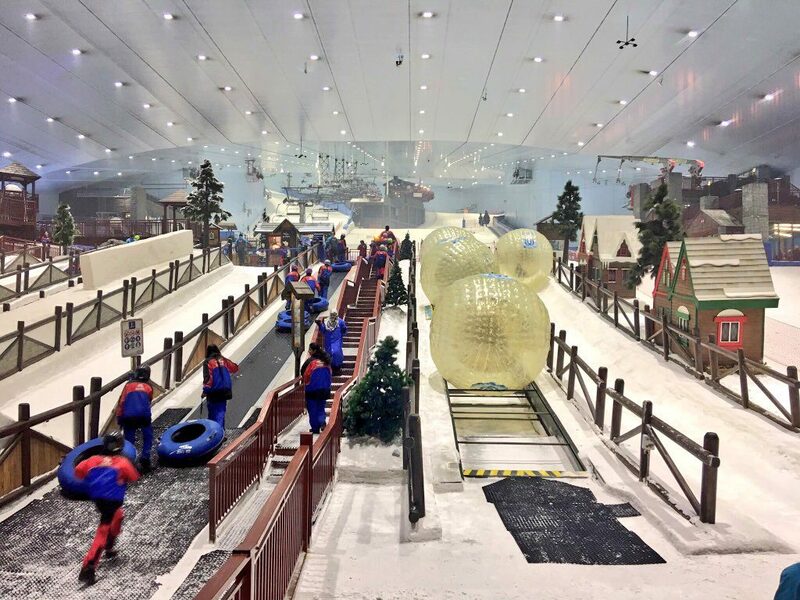 However, it has one thing Dubai Mall doesn’t have-an indoor ski slope and winter wonderland! Yes I know it’s hokey and I know some people may be rolling their eyes that I even mentioned malls in this list but the ski slope is awesome! Keep in mind it’s like 120 degrees for 2/3 of the year. So to have this inside is an amazing thing and the local kids and tourists love it. I know I do and I barely ski! Right in the port, literally next to the cruise ships, you can do a scenic flight around Dubai. 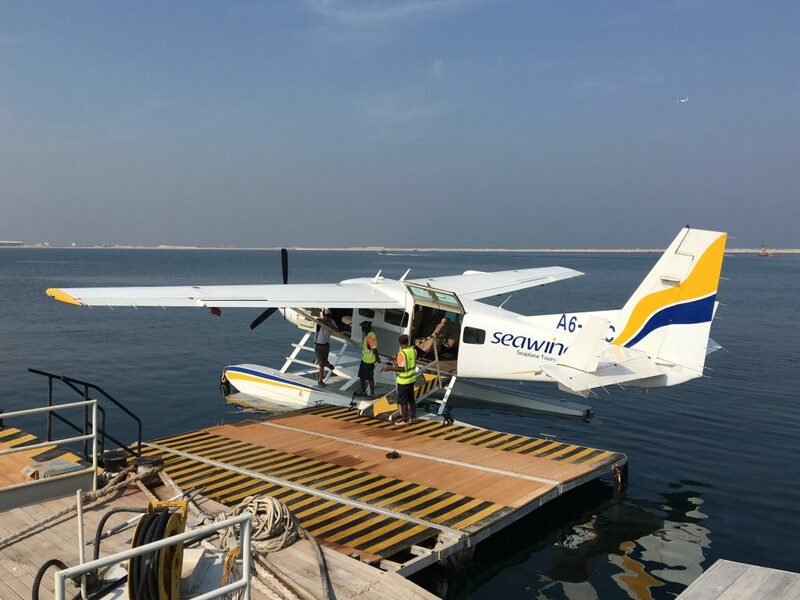 The seaplane can take up to 8 people and there are really no bad seats. There are 4 on each side and the tour goes back and forth for everything so each side gets to see it all. The flight goes for about 40 minutes or so. It’s pretty awesome to be honest. 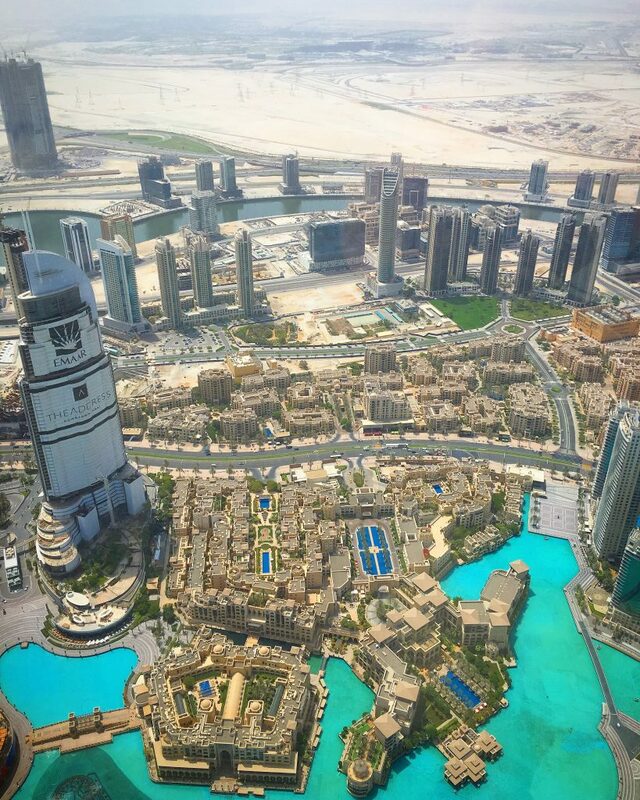 A city like Dubai is best seen from above to really appreciate how big it is. The weather and dust can make it hard to see certain things but at the same time, can make it even cooler with the effects it plays with the sun. The highlights were certainly flying over the Palm Islands, which can only really appreciated by flying over them. The World can also be clearly seen and gaped at because it’s just ridiculous that someone even thought of it let alone built it. 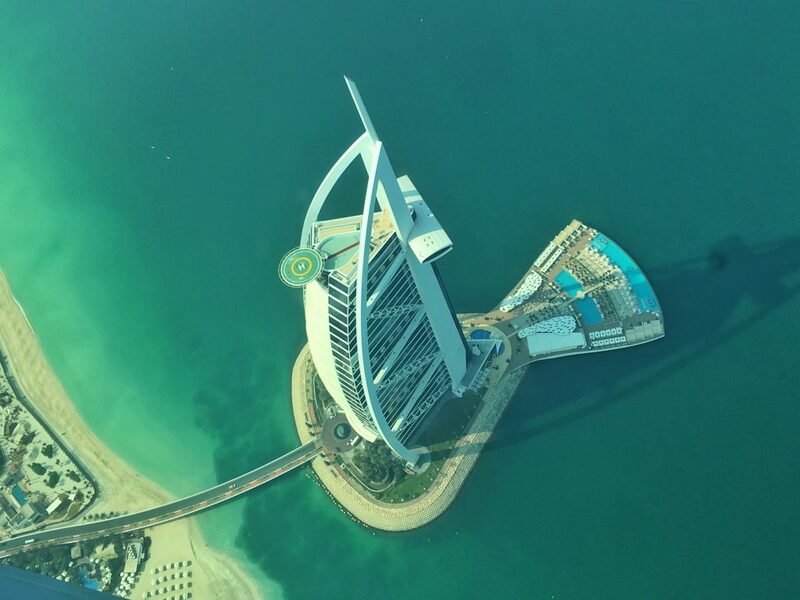 Also, you fly over the Burj Al Arab and get some great angles to photos you’d never see from sea level. 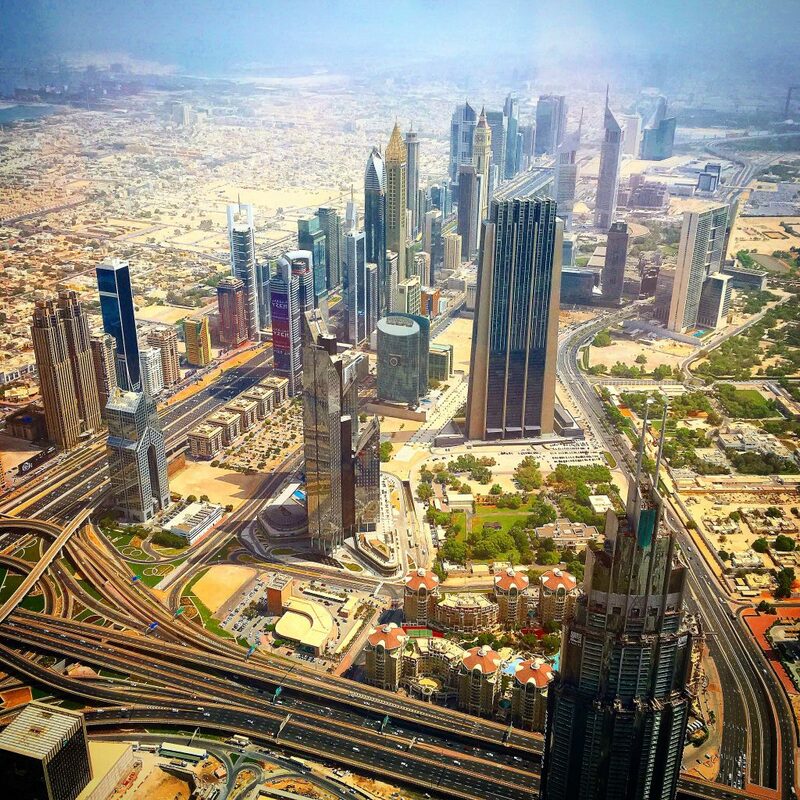 You also get panoramic views of downtown and the Burj Khalifa. On the way back to port, you’ll cruise over the outskirts of the city to Dubai Creek, Deira and Bur Dubai. All are worth checking out in more detail on the ground to really appreciate them. I always say that Sheikh Zayed Road is the coolest road in the world for architecture. It is awesome, it is imposing and it is just plain cool! 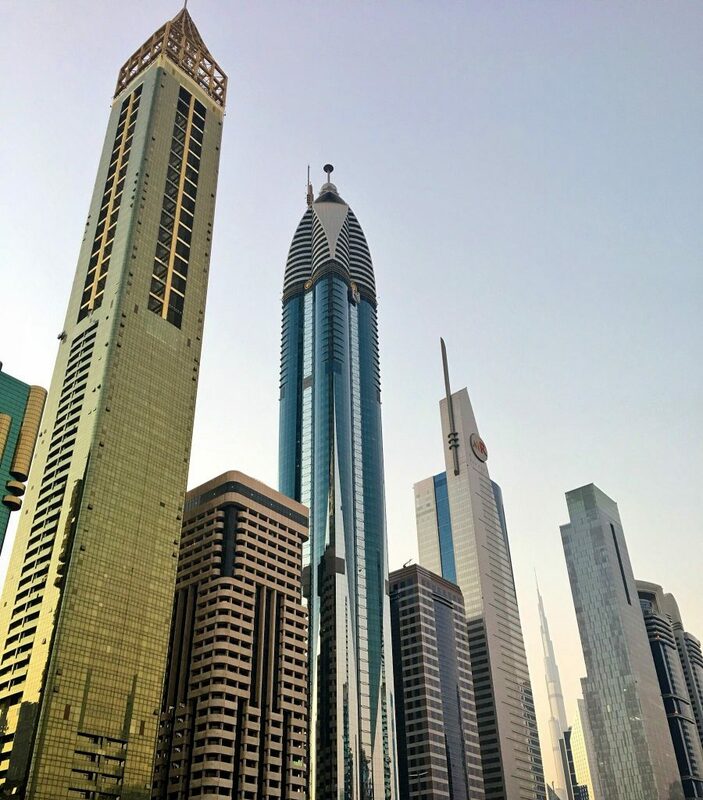 I actually love staying on Sheikh Zayed at the Four Points by Sheraton because it has the Level 43 Lounge with the top views of Sheikh Zayed Road all the way to the Burj Khalifa. Dubai Marina is fabulous. I would consider living there if I ever moved to Dubai. I first visited earlier this year when I was staying on the Palm Islands of Dubai. I took a little boat tour through the Marina. It’s absolutely fantastic both in terms of architecture, cleanliness and just sheer it factor. You honestly cannot stop staring. That’s a common theme in Dubai. Everything is big; in fact it’s usually the biggest in the world or at least aims to be. 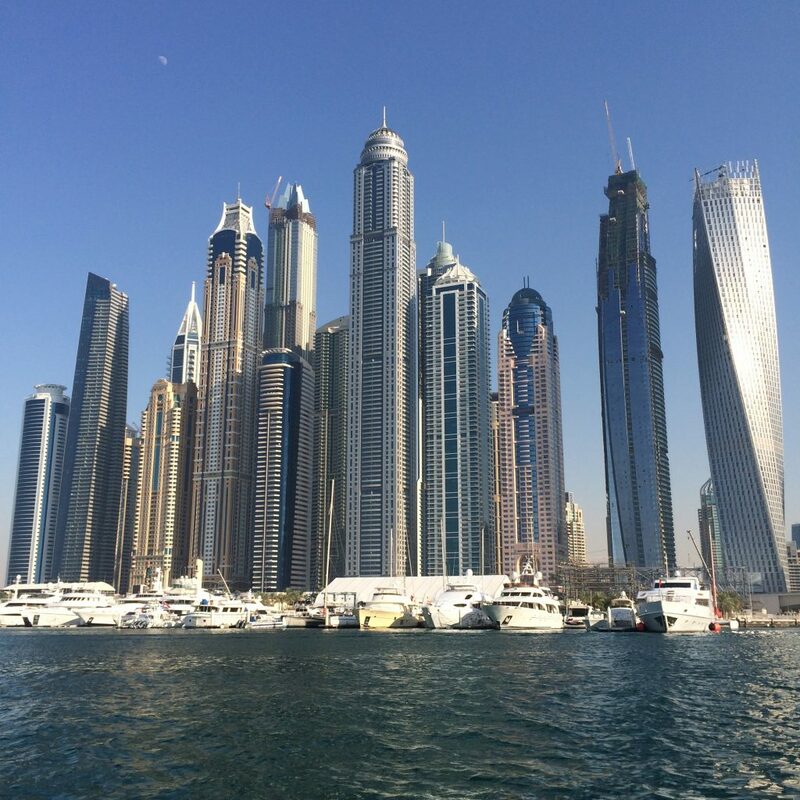 Dubai Marina is pretty far down from downtown but well worth a trip out to check it out. It’s a big local place to hang out as well. So those are 5 awesome things to do in Dubai. Obviously there are a million others. 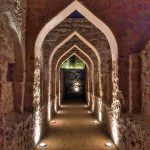 I’d also recommend checking out the gold souk, the spice markets, do a 4×4 tour in the desert, falconry or head out to a local farm outside the city. Plus you can rent a car and check out the other 5 Emirates aside from Abu Dhabi. 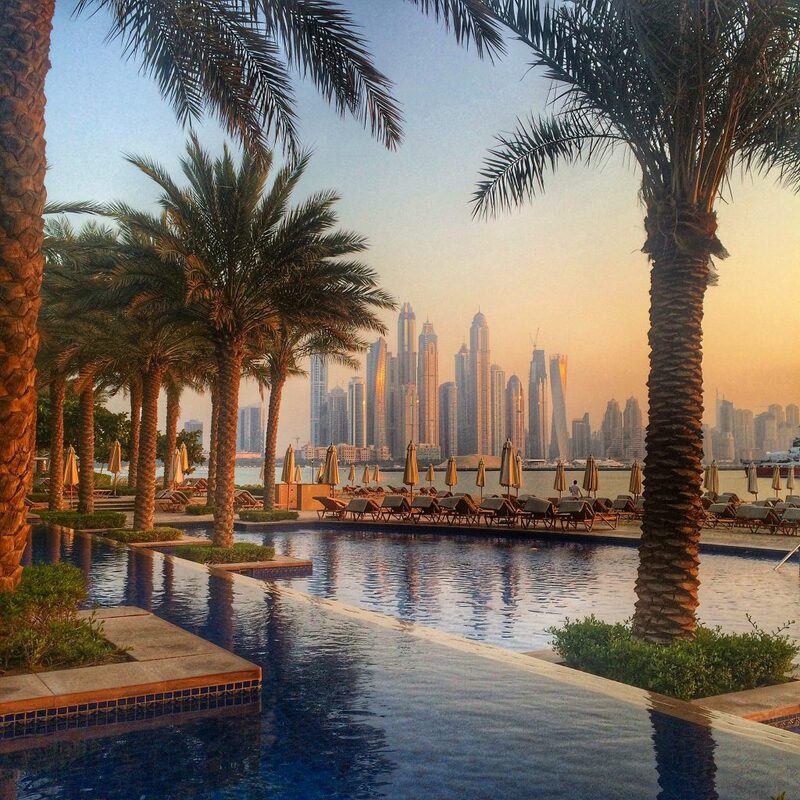 Embrace Dubai and it’ll embrace you back and you’ll love it! 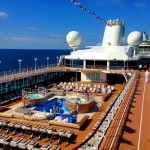 Disclaimer: I have a business relationship with Azamara Club Cruises and receive financial compensation. Everything was written and experienced by me and has not been influenced in any way. I really want to stay in the Burj. I hear every room has a private butler, is that right? Yes and it’s as good as you want it to be! I love Dubai as well. It’s such a fun place to visit and just stare! I’ve been a few times passing thru en route to elsewhere and always enjoy my time there. I always want to see what she next! Agreed, each time there’s something new! 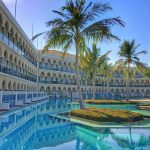 Great, Dubai is looking so beautiful and its buildings are best attraction of that place and so amazing activities you recommend of that place. not sure how this got thru the spam filter but thanks! 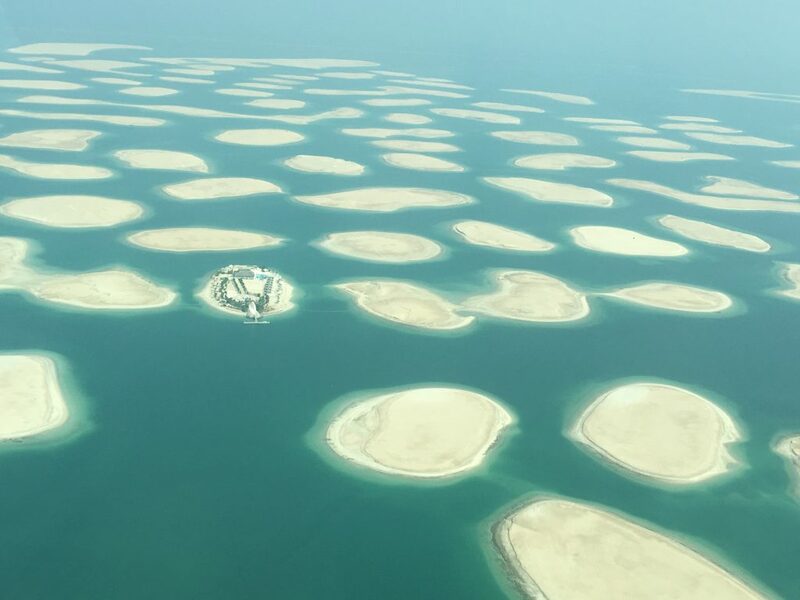 Skydiving over the Palm Islands is incredible! I definitely would say to do that in Dubai. I’m doing one in Bahrain in a few days! Was there in 2012 and had a foul time indeed. Would love to go back to write a few wrongs, this article is very tempting ! 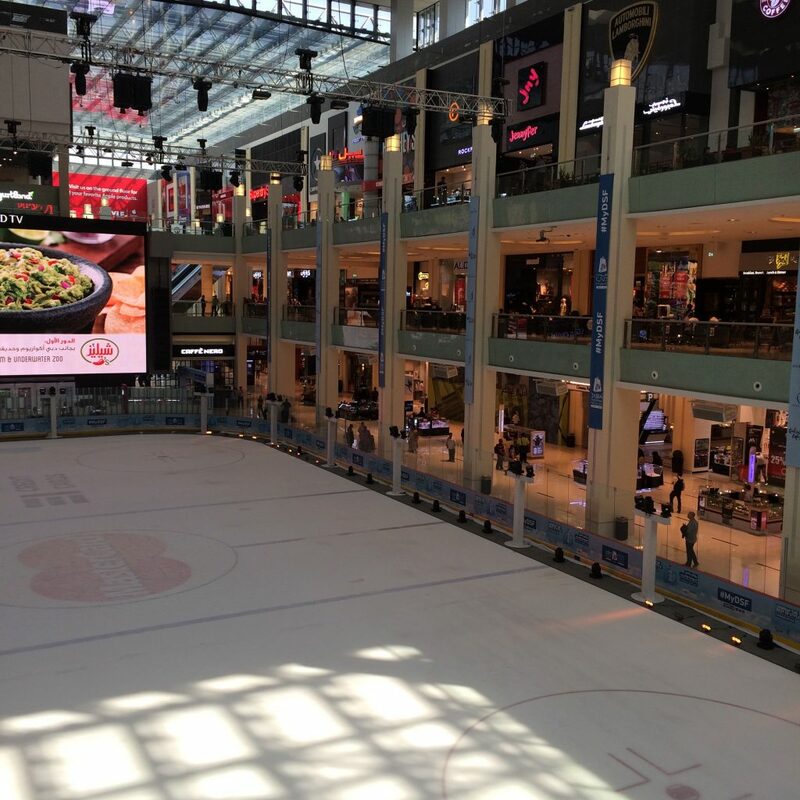 I hate malls and shopping but now I want to go to the malls in Dubai, they look incredible! Love for Dubai. its the best place to live and enjoy worlds best things here in Dubai. Nice article. I really enjoyed at the top. 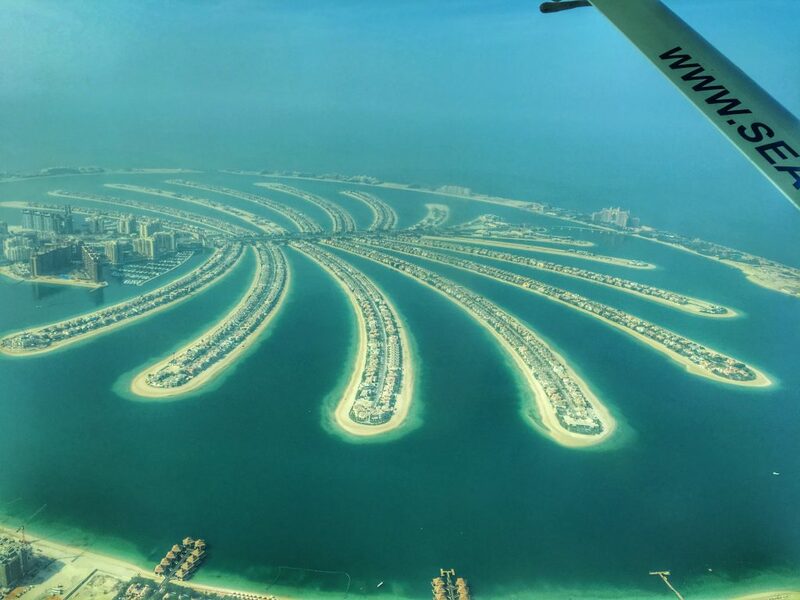 Wish i could get to fly over the palm.. looks amazing. These images are drop dead gorgeous! Always wanted to visit Dubai, especially my wife speaks of it often. When I visit, I will take your advice and visit Burj Khalifa. I never knew the interesting shape of the island and how the body of waters wraps around the land. Thanks for sharing this! My Friend and I went last week on safari. it was a wonderful experience, we sure repeat it with my wife. Very nice driver and a very memorable safari. In Fact, I just published a trip post on my blog. Awesome pictures, I just love to travel and mostly visit Dubai because most of my friends are there. I travel so much that I have a website bookmarked. I have linked it.